Featured! Bohemian Hollow Home | About Us | Opportunities | Sponsorships | Contact Us! In this week’s ‘Featured!’, we met up with Stefan from Bohemian Hollow. 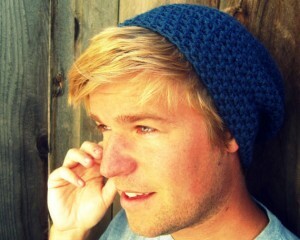 What can this guy do with a crochet hook and some yarn? What can’t he do! From bracelets and barefoot sandals to bow ties and bags, Stefan’s work brings the timeless art of crochet and knitting to modern boho style. 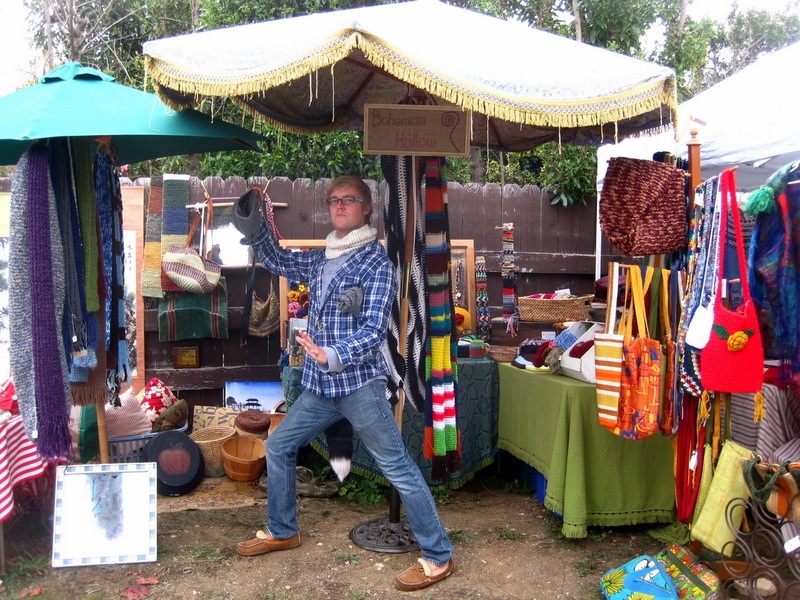 Learn all about his creative process, why he does what he does, and find out how you can bring your own boho style to life! Stefan Fromme (pronounced Ste-fin or Ste-fawn depending on your preference, Fromme - Fro-may) is my name. I live smack dab in the middle of the salad bowl of the world in a city called Salinas; if you eat lettuce or artichokes, it comes from here. I classify myself as a combination of bohemian hippie, vintage gentleman, and book nerd. I enjoy dancing, swimming, sunny weather, making costumes to dress up in and attend Renaissance Faires, and being out surrounded by nature. Combine all of the above activities and you’ve got my perfect day! One of the things that caught our eyes about your shop was the color. You are not afraid to use it, and you make it accessible to people of all styles and personalities. What got you started in doing this work? 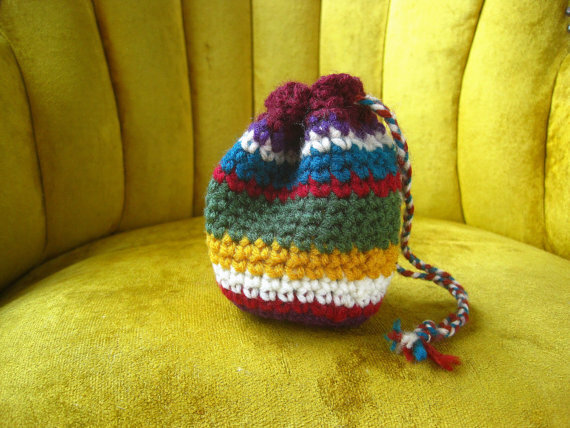 I learned to crochet eight years ago and took to it like a duck to water! 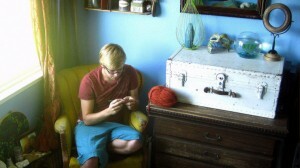 About three years later I decided to take up knitting and found it just as enjoyable, if not more so. 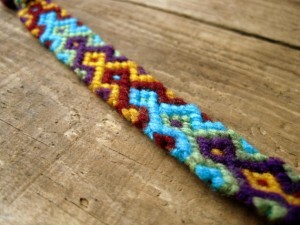 I’ve been making friendship bracelets since elementary school. As a friend once said to me, “Your mind only works in stitches.” Apparently it’s true. Now, don’t think for a second that that’s all I do, for that is just a mere glimpse of it! I take part in many other forms of art and am always creating, reworking, or redesigning something on a daily basis. A true artist never turns off the creative flow! Where do you sell or feature most of your work? Etsy is my main squeeze when it comes to featuring my work. I love it so! However, I do have the occasional planned affair with a few Craft Shows throughout the year. (Does that make me a craft whore?). Nothing too big and fancy, just some local artists gathering to show their work and hopefully make a few extra bucks. That’s not to say that their work isn’t spectacular though! Some of the best things I’ve found have come from those local craft shows. Supporting handmade products and local economy is basically the most perfect possible way anyone could spend their money! We’re always encouraging people to check out local craft fairs, farmer’s markets, and craft shows to see what’s being made in their own neighborhoods. The value of your work speaks for itself… but what ‘extras’ do people get when they choose to connect with your one-of-a-kind, handmade pieces? When someone buys a work of mine, they get the utter satisfaction of knowing that they made a grown man commence with a Happy Dance in the middle of his dining room or the middle of a show. That’s worth it right there! As a male artist, craft junkie, and handmade art supporter, nwhy do you think it’s important for guys to connect with the handmade? Honestly, I believe that most men on this planet are boring, cookie-cutter cutouts of some single male entity – at least those who don’t have a connection with the handmade way of life. Any form of art opens your mind and frees your soul, making you a much more interesting person. It’s not just important, it’s vital to mankind! We agree! There’s something about handmade gear that helps us embrace our authenticity, individuality, and create honor for art, process, and value at the same time – not something we get a lot of in the chain-store world. In your opinion, what makes handmade items more valuable than their mass-produced counterparts? Any handmade piece will always – always! – have more personality, more style, and more life than any mass-produced product just by the simple fact that somebody’s hands made it and not machines. It’s a testament to the artists’ creative energy… that energy and consideration make items that much more valuable to me. When it comes to creating the work you do, have you faced any obstacles, challenges, or adversity in being the man and the artist that you are? The physical work of creating and presenting has always come rather easily to me; I’ve only had to deal with the typical trial and error of it all. The real challenge is accepting people’s perception of me. Some look at a man who can knit and crochet and instantly judge him as being ‘gay’. It’s not the sexuality issue that I have a problem with; it’s that they make a snap judgment based on a viable talent of mine. True, it’s not a talent that’s typically associated with masculinity, but who’s to say that by embracing that talent it determines my sexual preferences? And, really, what does it matter anyway? I do apply that thought to myself – that it doesn’t matter in the end – but it still irks me at times that some people can be so small minded. 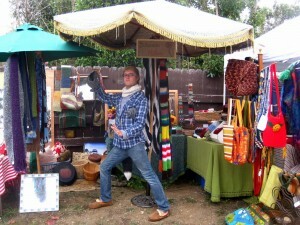 One of the reasons HandmadeMen.com was created was to tear down these limited beliefs about male artists and crafters. Something we seem to have forgotten as a culture is that men have always played an integral role in creation and fabrication. From cobblers and tailors to metal smiths and weavers, men have always been just as much a part of the creative world as their fairer counterparts. Why do you think it’s so important that people support male artists and all artists, builders, and crafters? Each individual artist only wants to be validated in their respective expression of art. We’re not just supporting our community or local economy – which is important in itself – but we’re supporting people directly. We’re boosting their morale and self confidence when we buy from them. We’re letting them know that what they do is appreciated and that they themselves are appreciated as well. We’re giving them something more valuable than money ever could be. Ever since I was very small I’ve had an intense drive to create, never considering what others outside my immediate family thought of what I made. When I was told about Etsy I was hesitant at first to show, and possibly sell, my creations. What if nobody liked my work? What if they criticized me for it? Then I decided to just go for it and even if nobody liked what I did it wouldn’t stop me from creating for myself. The best part was finding out that others do care! I believe in the notion of paying it forward. 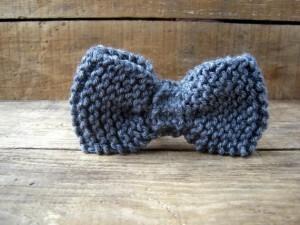 So, if you would be so kind, please hop on over to my very good friend’s Etsy shop. I promise you won’t be disappointed! A million thanks, Stefan! We love your work, and have had a great time connecting with you! 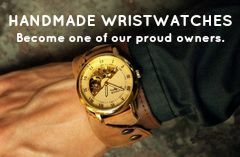 Make sure to join us on Facebook for daily Handmade Men updates, and for the V.I.P. treatment, follow us via email b y visiting the home page and using the sign-up box on the right. Tagged bohemian hollow, bow ties, friendship bracelets, handmade men, knit bowtie, male crocheters, male knitters, stash bag, stefan fromme. Bookmark the permalink. This is a great interview. I just found this blog today and I Love it! I can attest to the fact that every piece of art that I’ve ever recieved from you always gets positive comments from the public when I wear them. I have passed out so many of your cards lol. I love them because each piece has so much personality and life to them!